Kate and Chelsie: London: Yo Sushi Masterclass: Rice and Rolls! Katie: For those viewers that are avid sushi fans like myself this review is for you! I discovered my love for sushi in Hong Kong (2007). Initially the prospect of raw fish was a somewhat daunting prospect however sushi is not just raw fish, but can also be vegetables and cooked dishes. The closet to the sushi I experienced in Hong Kong can be found at any Yo Sushi store. The Yo!Sushi masterclass: Rice and Rolls, begun at 10am in London Soho, we were welcomed to our booth and given a green tea to enjoy while the other guests arrived. The primary components required for creating your very own sushi (rolling matt, fresh rice, fillers and mayonnaise) were already waiting for us, alongside our very own chiefs hat! The course began with our sushi chief explaining a little bit about the history of sushi, before being shown a step buy step break down of exactly how to make the sushi. We were shown how to make maki, inside out roles and hand rolls this was all done very professionally but also with a comic air. We were then let loose, and began to create our own sushi! We were given highly important tips throughout our personal sushi development to help us roll, which although sounds simple is rather difficult assuming you would like it to look appetising! Our chief was very attentive, and wiling to answer any questions we had and also in my case re demonstrating how to roll... Our chief also showed us how to cut the sushi, and offered us some additional tips on how to enjoy our sushi. If like myself you had been previously afraid of wasabi (green, very hot stuff!) don't be. Put a little in your soy sauce, mix and try with your sushi- It's amazing, I promise. Chelsie: The course was great fun! Very hands on, very funny! In my case some of the ingredients that had been selected for me to put within my sushi I did not like, these were instantly replaced with something I did like which was very nice of them. We were also treated to a demonstration how to cut fish, which provided a novel outlook into the care and attention needed for the best sushi experience. Our chief also told us about the products we were using, how Yo! Sushi is ethical in the fish it uses for its store, and how fresh and vigorous the stands of food are maintained in each and every restaurant. This is a refreshing prospect if like me, you care about the environment and the quality of food you enjoy. Katie: The course lasted three hours, and we were allowed to keep everything we made. After the sushi making itself we were given a set lunch, and had all the time we could want to enjoy it! After the class we were given a personal certificate of completion, brand new sushi rolling mat and a break down of the sushi we had made and instructions how to replicate. Although Chelsie and I enjoyed the class, the class is very pricey and we would not say this is great value for money. That argued the class was good fun, and we have been able to replicate the sushi we made after this class. We would suggest if you are a big sushi fan, go and you will enjoy it, but if sushi is not a big passion and you are simply curious sample the Yo! Sushi food at one of their stores first before going on this masterclass. Always fancied becoming a sushi master? Then book a place on our 3 hour Sushi School (10am-1pm) course which allows you to learn about rice, fish and nori as well as roll your own world famous Inside Out Rolls and makis! Perfect if you're organising a private event such as a birthday party or your company Christmas party, but also great if you just fancy treating yourself or your buddy to a unique experience. 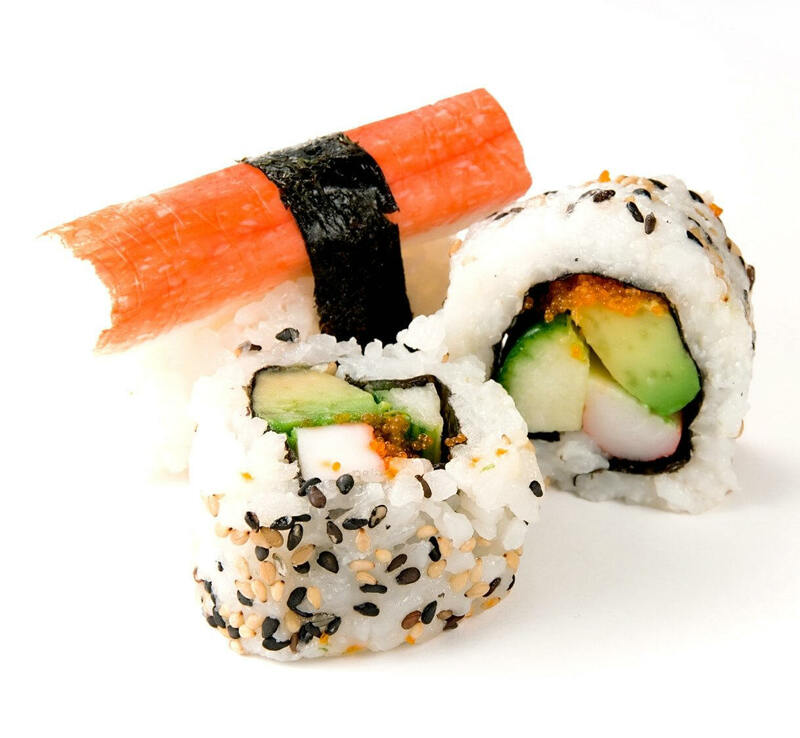 Calling all sushi loving parents - fancy treating your kids to something completely different? Then book your child a place on our popular 'Sushi School Mini Ninja' class. Book your place on our popular 'YO! Sushi & Sake Experience' session at YO! Sushi Oxford Street for a unique tasting experience. Want to learn how to cut fish expertly? Then sharpen up your fish cutting skills with our exciting new Sushi School - fish! course at YO! Sushi Farringdon.